We just got the chance to review yet another Rock 'N Learn DVD! My boys love to watch movies, and sometimes with two other babies at home, I just have to park them in front of the TV. But I feel MUCH better about it when they're watching a Rock 'N Learn DVD. I always love to talk with them later about what they learned! We just watched Rock 'N Learn's Human Body. They loved it! & they've been loving when I "quiz" them on facts about their body now. They've definitely learned a lot from the movie! 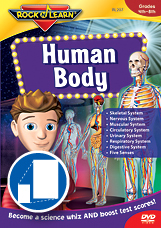 This entertaining approach to the human body engages young, inquisitive learners, while the depth of material gets older students ready for tests. Join Kevin and his friends Marko and Bailey for an enlightening adventure to explore the skeletal, nervous, muscular, circulatory, urinary, respiratory, and digestive systems along with the five senses. Rock 'N Learn programs have received numerous awards such as Dr. Toy, Parents' Choice, iParenting, National Parenting Publications, Learning Magazine Teachers' Choice, Early Childhood News, National Parenting Center, and Parent's Guide to Children's Media. Our programs lead in the areas of quality and customer satisfaction based on surveys of school supply stores. As documented in case studies by numerous school districts, Rock 'N Learn programs work. The overwhelmingly positive response from parents, teachers, and kids generates tremendous word-of-mouth support. By consulting with educators and featuring talented vocalists and performers, Rock 'N Learn will continue to develop quality audio and video programs that hold interest and help kids learn. All of the great Rock 'N Learn products can be found here. One lucky Giveaways for Mom reader will win a DVD of their choice from Rock 'N Learn! The winner will be chosen on November 15, 2011. Good luck! GFC follower as ani hearts japan and I would pick the getting ready for kindergarten dvd. follow on google, and I think I would pick Sight Words. I would pick Phonics Vol. 1 & 2.
i liked rock and learn on fb. Public GFC follower: Heather Schonrock. I would pick either the Human Body DVD or the Sight Words DVD. I am in the healthcare field and I really like the Rock N Learn Human Body! I would pick Physical Science DVD! I like Rock 'N Learn on Facebook! RSS Feed subscriber via Google! I entered the Peter Pauper Press:Sock Monkey Rescue Kit giveaway! I entered the Harry Potter and the Deathly Hallows Part 2 DVD! I follow with GFC (username jcsjcs) and I'd choose the Letter Sounds DVD. Thanks for the chance. I also entered the sock monkey giveaway. I like Rock n Learn on facebook! Like Rock 'N Learn on Facebook here Lisa W.
& Counting DVD for my special needs classroom. I entered the Peter Pauper Press:Sock Monkey Rescue Kit giveaway. I Follow via GFC and I would choose the Colors, Shapes & Counting DVD. I Like Rock N Learn on Facebook. I Follow Rock N Learn on Twitter. I Subscribe to Giveaways for Mom via RSS. I Follow Giveaways for Mom on Twitter. Thanks for the giveaway! I would choose the Human Body DVD. My kids would love it! I entered the Peter Pauper Press giveaway. 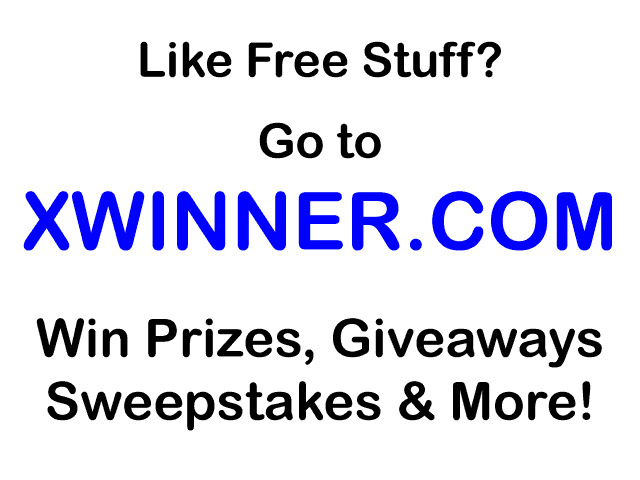 I entered the Free Spirit Publishing giveaway. I would def choose the human body dvd!